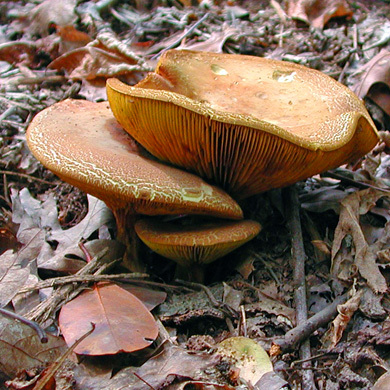 Found solitary or in small groups on ground in hardwood (especially oak) or coniferous forests. 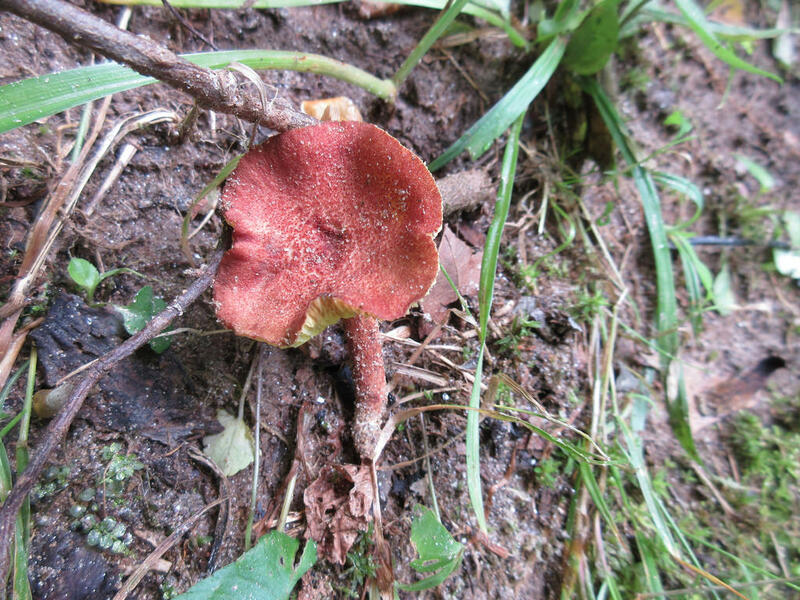 Also occurs in mowed grass at forest edges. 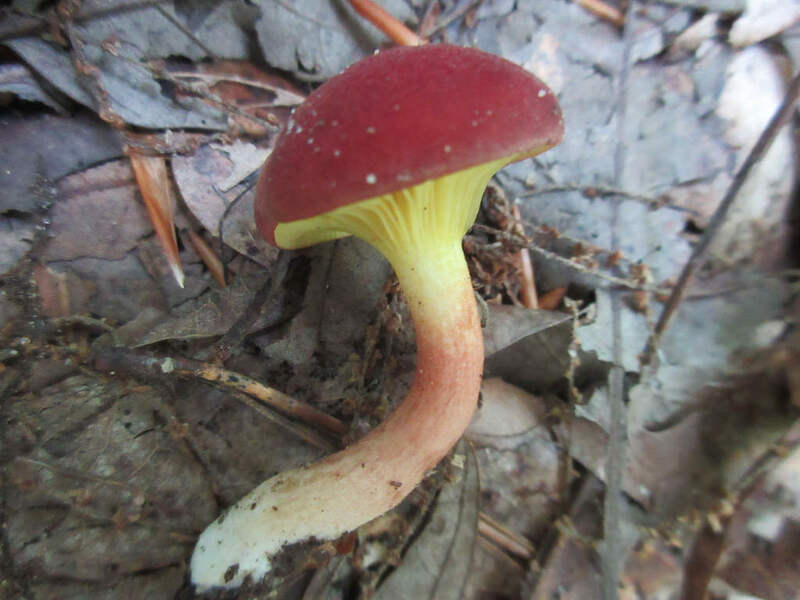 Cap: dull reddish-brown to olive-brown, dry, somewhat velvety, cracks may expose yellow flesh; convex to flax or shallowly depressed in age. 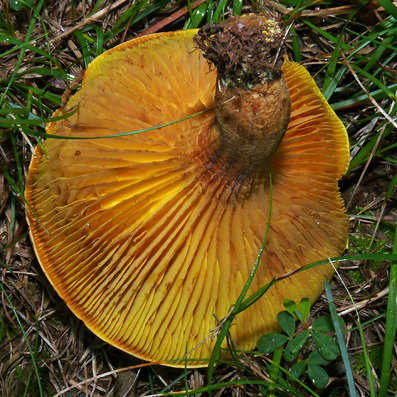 Fertile surface: gill-like structures deep yellow to olivaceous-yellow, bruise blue, decurrent, separable from cap, often wrinkled with cross-veining. 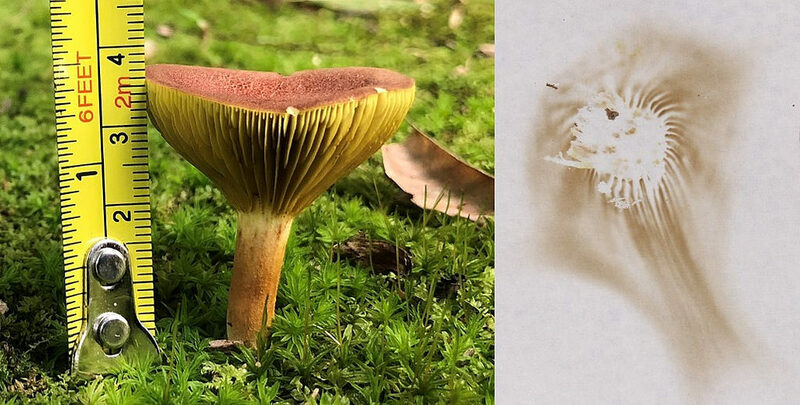 Stalk: dull yellow to reddish-brown, nearly smooth, bruises yellow; yellow mycelium at base (J. Solem, pers. comm.). There are 87 records in the project database.